Visit the 40+ wineries of Amador County. Most are small family operations where unpretentious hospitality is the norm. 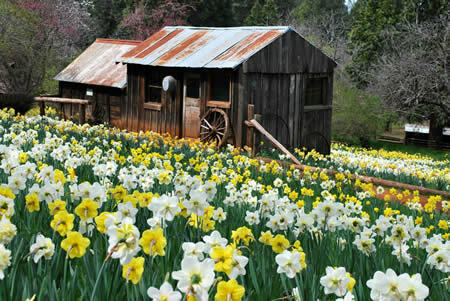 All are located along scenic backroads in some of California’s most picturesque rural settings. 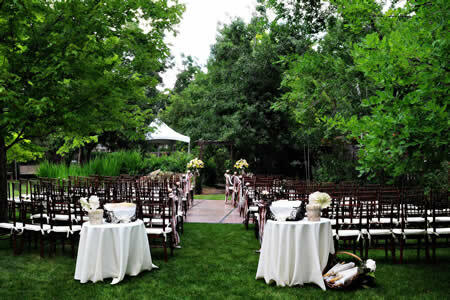 You can sip wine while gazing at the beautiful, snow-capped Sierras and picnic under grand old oak trees surrounded by vines. And Amador wineries are easy to reach, nestled between highways 50 and 88 along historic Highway 49. 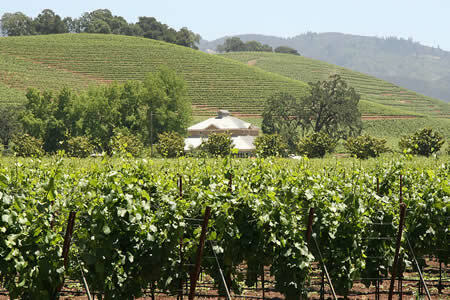 Amador is renowned for producing California’s finest zinfandels, some of them crafted from 19th-century vines. In recent years, Amador vintners have also begun producing delicious wines from Rhône Valley and Italian varietals, including syrah, viognier, barbera, and sangiovese. Along with Amador’s prized zinfandels, these bottlings have earned enthusiastic praise from critics and wine lovers worldwide. 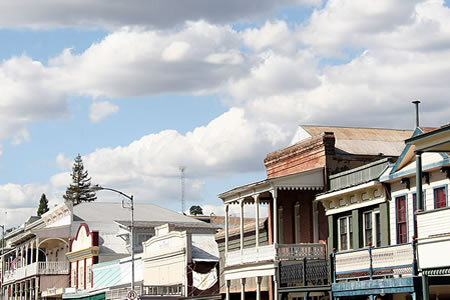 In Amador County, visitors experience the rich history of a community born of gold that today is flourishing on the nectar of distinctive, world-class wines. 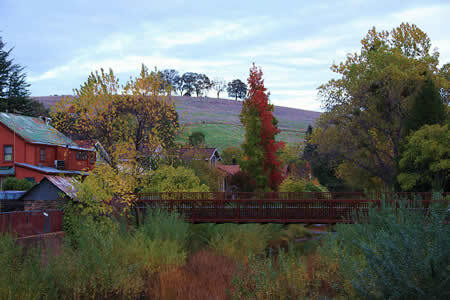 Sutter Creek is Amador County’s most walkable town. Come and explore on foot! 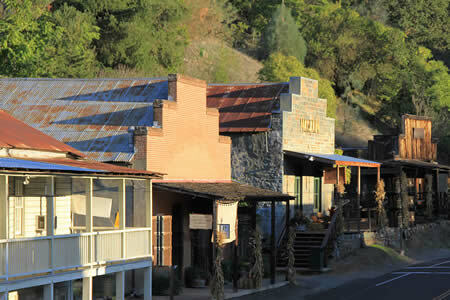 Take a fascinating tour of one of the most famous mines of the Mother Lode, the historic Kennedy Gold Mine! You are welcome to visit this and other pioneer burial grounds for historical study, genealogical research or a peaceful walk. This is one of the earliest US foundry-machine shops remaining in operation and one of the few water-powered. 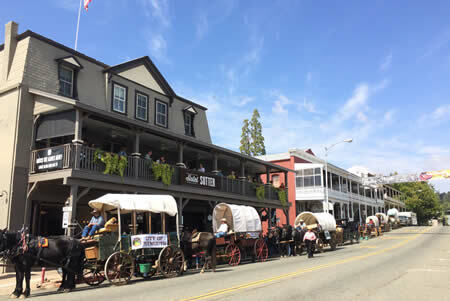 It was founded by Samuel N. Knight (1838-1913) to manufacture machinery for the gold mines of the Mother Lode region. Knight was one of several inventors experimenting with impulse turbines to exploit the area’s abundant high-head water power for driving hoists, ore stamps, and other mining machinery. He patented an efficient water wheel that came to dominate the field prior to the introduction of the Pelton turbine in the mid-1880s. Knight turbines drive some of the machinery of the works. Knight Foundry is also listed on the National Register of Historic Places and has been designated a California Historical Landmark. The Monteverde Store Museum, which opened as a country store in 1896, still displays all the paraphernalia of the past on its shelves. Dry goods, hardware, bulk products, apparel, patterns, even penny candy were on hand for local shoppers. It is preserved as it was in 1971 when the last owner closed the doors for a few days and never reopened. It can be viewed by appointment with the senior docent. Call (209) 267-0493 or (209) 267-1344. One of the oldest and best-known reform schools in the United States. It is located in Ione, California, in Amador County. Tours of Preston Castle are available from 10 am – 1 pm on the first and third Saturdays of every month. This ten-mile length of Lode in Amador County … produced over half the total yield credited to the entire Mother Lode gold belt. 73 Main Street. Enjoy music on the lawn on Friday evenings from 6-9pm. Cover charge includes food and entertainment, wine is purchased by the glass. Table seating, plus lawn, bring a lawn chair or blanket. 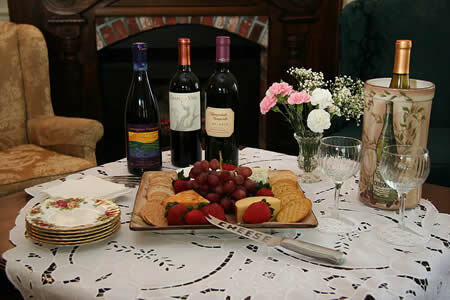 Bella Grace is located inn Historic Sutter Creek. A 1860 era Victorian house, open Thursday-Monday for wine tastings and Friday and Saturday evenings for live entertainment, wine by the glass and food by select Amador Restauants. For recreational bowling and tournaments, check out Amador County’s home for family entertainment. Bowling center also has snack bar, lounge with pool tables, darts and shuffle board. Open Monday through Sunday. 81 W. Ridge Rd. Sutter Creek, CA 95685. Call 223-3334 for reservations. “The Cellar” (53 Main Street, Sutter Creek) will have FREE live music on Fidays and Saturdays from 7pm to close, all summer long. 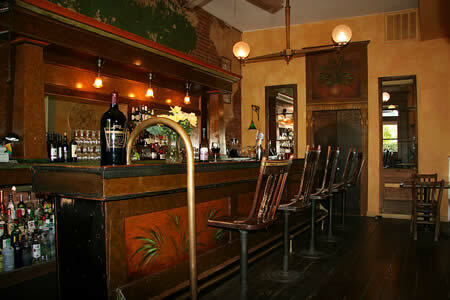 Also, “Ladies Night” every Thursday evening with drink specials. Main Street Theatre Works, now in its 15th season, has received 93 Elly nominations and 26 Elly Awards from the Sacramento Area Regional Theatre Alliance (SARTA).Visit www.mstw.org for current and upcoming productions. The historic Sutter Creek Theatre, originally a silent film theatre, is now a complete multipurpose entertainment venue that hosts events year-round. Retaining the original theatre seating and Art Deco ceiling, the SCT features concerts by regional, national and international award-winning artists, films, civic and corporate meetings, and much more. The theatre comfortably seats 214, and is renowned for its excellent acoustics and intimate seating. To traveling artists we offer sound engineering and lighting support. Calendar and tickets available at www.suttercreektheatre.com or at Heart & Soul 42 Main St. Sutter Creek. The town of Volcano’s population is something over 100 and boasts two hotels, numerous shops, a tavern or two, as well as Volcano Theatre Company.